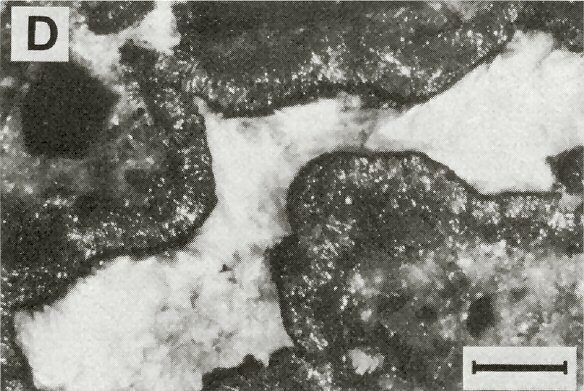 Comments: Reflected light, crossed polars showing a cavity with tristramite (white) infill and surrounded by intergrowth of marcasite (dark) and pitchblende (dark). (MinMag, v47:344). Location: Wheal Trewavas Head dumps, Cornwall, UK. Scale: Scale bar = 0.1 mm.